When you're fishing on the shore, if you get hot, you can just dunk your head under the water. However, if you're in a boat that's not so easy, you'll need another method of keeping your head safe from heat. 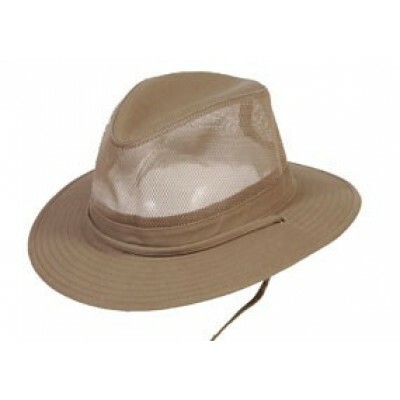 Keep your cool while fishing, hunting, or hiking in the Conner Cotton Safari Hat. 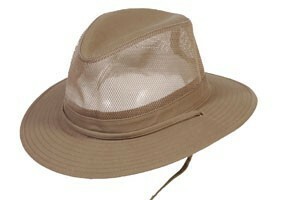 The lightweight mesh crown keeps your head extra cool and the wide brim offers plenty of protection from the elements.